Uber cool goggles! 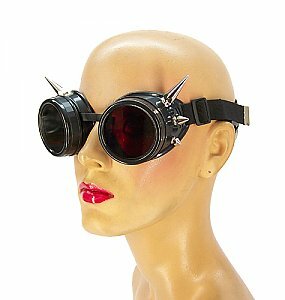 One size fits all, fully adjustable head strap and bridge, these cool goggles feature two 1 3/8” spikes, two 1/2” spikes and two 3/8" spikes. Also feature removable 50mm lenses, comes standard with red colored lens. 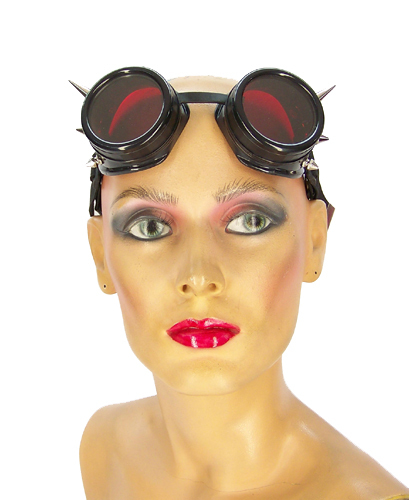 Smoke, blue and 3D lenses are available.